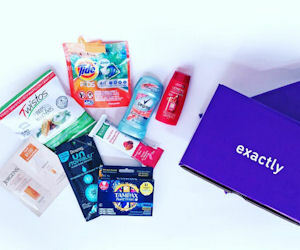 Join Exactly to receive a free Exactly box full of free samples from your favorite brand names! Just sign up to qualify for the next sample box which is scheduled to be released soon! Then, every season they'll offer another free Exactly box with 5 to 7 samples from a variety of brands. *Be sure to confirm your address via email.